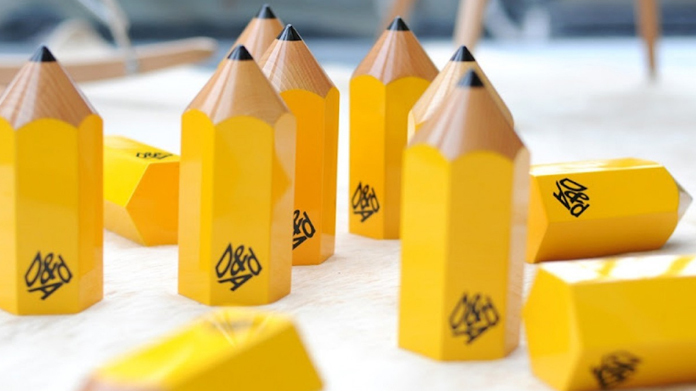 Exciting times in Hope&Glory this week as our very own Jo Carr has been named PR Jury President for the next D&AD Awards (entries are open). Bringing together the very best work from around the world for the last 54 years, the D&AD Awards is the pre-eminent show as far as most creative types so it’s a massive honour and privilege for us (and Jo of course) to be the person leading the judges in our industry. It’s particularly gratifying in two other ways. First of all to be recognised amongst luminaries from the creative industries including leaders of Goodby Silverstein, Blok, Google Creative Labs, 4Creative, BBDO and a host of others. But also because it’s a strange coming full circle for us as an agency too. Because, you see, we once worked for D&AD as an agency. In fact, they were Hope&Glory’s first client win – and our first pitch. That’s six years ago now when Hope&Glory was two people sitting in a room wondering whether the new agency thing was going to work. James was making friends with an assortment of advertising journals from around the world while Jo was selling in wine tastings with radio stations having lost her voice. At the time it felt like an inauspicious start. To fast forward six years on and find ourselves recognised as being quite good at what we do – and with at track record that means D&AD see fit to have one of our founders judge the very best work from across the globe is a bit of a moment. So thank you, D&AD. For being our first client. And for validating the decision we took to open our doors six years ago. We hope we do you proud.